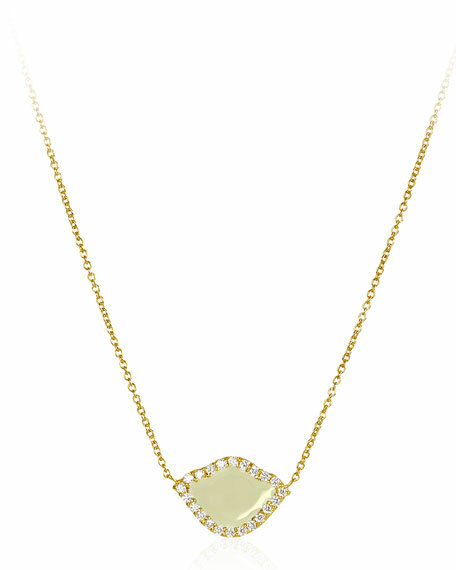 Legend Amrapali 18k Gold Nalika Lotus Necklace w/ Diamonds & White Enamel, 16"
Legend Amrapali18k Gold Nalika Lotus Necklace w/ Diamonds & White Enamel, 16"
Legend Amrapali necklace from the Nalika Collection. Polished 18-karat yellow gold hardware and settings. Pavé diamond edges; 0.187 total carat weight. Integrated lotus pendant with enamel center.